Many companies today have more than one office that they sell from or operate out of. While this can certainly help grow the business, that growth can sometimes be painful if not managed correctly. These seven smart tips will help keep you on track as you expand your geographic base from just one location. The chain of command becomes more important as the business grows – especially if the manager of the new location started out as a manager in the home office. Often it is the owner who’s the boss, but there needs to be a defined chain of command for who has the authority to tell folks in the new office what to do. Standard Operating Procedures (SOPs) are a basic foundation for any expanding business. Not only do they simplify things so employees don’t have to be constantly told what to do, they allow best practices to be developed and followed throughout all offices. Communication is key – as the old saying goes – and it is true! So many times with a rapidly expanding business the right hand – or office – doesn’t know what the other is doing. This can result in duplication of work, errors, and unhappy customers. Communication is also a good way to keep people motivated and foster a company philosophy that everyone can understand and buy into. There are many technology applications out there that can allow you to have real time video conferencing anywhere in the country so check them out. It’s very important for you to have an accurate method of tracking all costs and expenses associated with each location individually. It doesn’t make sense to run a location that is losing money – especially if that’s the bottom line before any general overhead expenses are added in. Sharing P&Ls with your managers in a great way to get them to buy in to the profit game plan – especially if you have some form of profit sharing set up for them. Empowerment can also be accomplished across the board by encouraging all employees to offer up money saving suggestions or new ideas to better service your customers. It’s amazing how a simple creative idea can grow into a powerful shift of a company SOP, which may not only improve the bottom line, but also generate a sense of pride on the part of the idea creator! Whether amongst managers or rank and file employees, it’s important for people to have a chance to bounce ideas off of each other, share horror stories, or just share in each other’s lives. Most small businesses are just big extended families, so it’s good to foster a caring environment amongst your staff. All work and no play makes for a dull person – another old saying (I must be old!) – and there is some truth to that. It’s important for folks to be able to let off some steam either at office events or during out of office gatherings from time to time. A happy employee, who feels they are liked and appreciated, goes a long way in dealing with the retention issue we all face with good employees. So loosen up and have some fun with them! 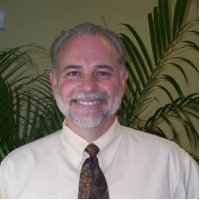 Michael Lewis is Executive Vice President and Sales Manager for Foliage Design Systems. He has owned and operated numerous interior landscape companies during his 35 years in the industry and is actively involved in business development for the company. He is also a past President of Green Plants for Green Buildings.